Do you ever wonder why people slow down when they drive by an accident? Is it to gawk? To see if anyone was injured? Or maybe they are like me, and slow down to assess the situation and decided in their heads what the accident would have looked like had I been here for it live...would it have been dramatic to see? There is a certain rush you get from witnessing a mishap...and even a thrill from watching something that may end up failing. That is why I have always loved live theatre and that is most definitely why I love Cirque Du Soleil. Not because I hope anyone falls on their face or misses their cue, but come on - the risks that those performers take are amazing. 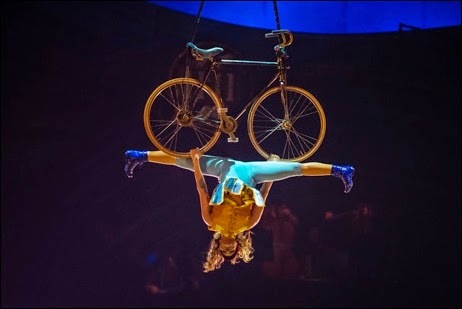 The newest Cirque show to roll into Calgary is Kurious, and it does not disappoint. You have to admire the Cirque performers and their ability to bend their bodies in ways only thought possible by snakes, balance like balance isn't a thing and throw each other around like they are tossing a football with friends. No sweat. The only one sweating is me...because I keep thinking that that guy is gonna drop that guy and that other guy is gonna toss that girl too far and she will land in the audience. Of course that never happens, but I still think it. Every. Time. Kurious has an amazing cast of characters, including Antanina Satsura who plays Mini Lili...a lady who lives inside a guy's overcoat. She is 3.2 feet tall and weighs only 39 pounds, making her one of the ten smallest people in the world. She was awesome, sitting in her little home, rocking her fur shawl and cute hat. She was by far my favorite character of the show. Fierce. And then there were the acts. I am having a hard time picking my favorite because they were all so terrifying. Except maybe the Yo-Yo guy...I was never much for yo-yos so I would say he was my least favorite. And any time that people attached themselves to a wire...that takes all the fun out of it for me you know. But I guess....#safety. The Acro Net was the funnest...a bunch of guys on a giant net trampoline pretending to be fish. The guy pretending to be a cat was the most awkward...while on a date with a random person from the audience. The aerial bike girl made me feel like a failure because I am assuming her biceps are the size of my leg. She flew around on a bike hoisting herself up and then at one point rides the bike UPSIDE DOWN while holding onto it with one hand. The only time my arms get that kind of work out is when I get lazy and decided to drink my wine straight from the bottle...and even then I usually tap out five sips in and get a long straw. The contortionists made me feel...well how anyone who isn't a contortionist feels when they watch a contortionist - not flexible and sad that they will never be able to fit themselves into a suitcase. Overall, Kurious is a fun show that can definitely be enjoyed by everyone (except for babies - babies don't have fun at live shows, and neither does anyone sitting around them FYI) and will keep you on the edge of your seat...just waiting, watching and hoping that no one falls. 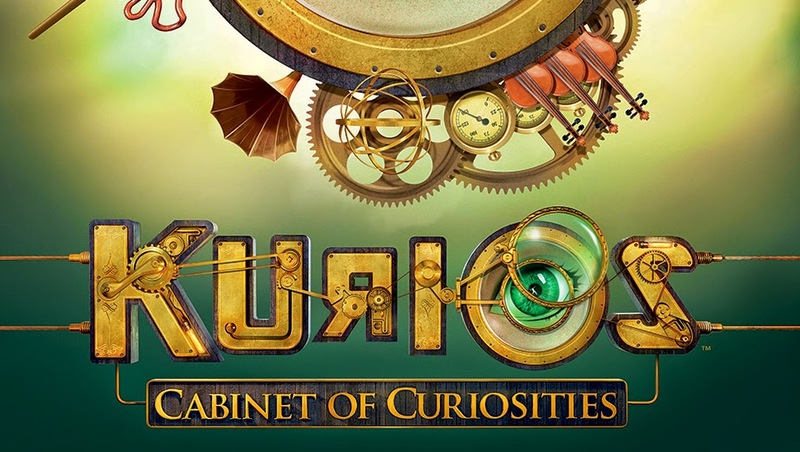 Kurious runs until May 24, 2015. Tickets can be purchased here.